The present region of Pakistan has been one of the most important places in ancient history and in recent past the Mughal Era was one of the golden periods of history. In Mughal sultanate, they established capitals in Delhi, Agra and Lahore. A tour to the important places with Mughal heritage would be interesting as well informative. 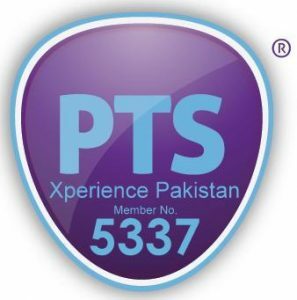 Drive to Peshawar and transfer to hotel on arrival. Peshawar was on the main route of invaders, traders, pilgrims and tourists. Since the invasion of Alexander of Macedonia, Mehmood of Ghazni, Babur, the Mongol and Sher Shah Suri, the city had been the focus of all. A visit to Masjid Mohabbat Khan, built by Mohabbat Khan, a general of Mughal and traditional Qissa Khawani bazaar would be the highlight of the tour. After breakfast in hotel, we will depart for Lahore via the Grand Trunk Road to visit Rohtas Fort, built by Sher Shah Suri. The massive fortification wall of the fort is a master piece of stone masonry. Later on we will drive to Lahore and transfer to hotel on arrival. 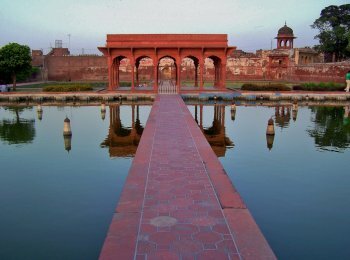 In the afternoon, we will visit Shalamar Gardens, one of the masterpieces of Mughal Era and then further drive to Indo-Pak border to enjoy the thrilling flag ceremony at Wagha. We return to Lahore for night stay at hotel. After breakfast, we will make a city sightseeing tour by tourist bus, run by Tourism Development Corporation of Punjab. The tour would include a visit to Lahore Museum, Shahi Qila, Badshahi Mosque, Minar-e-Pakistan and old city with a visit of Masjid Wazir Khan. For dinner, we have selected an exclusive place in Food Street with superb night view of Badshahi Mosque and Shahi Qila. After breakfast, we will check out and drive to Shahdarra to visit the elegant tomb of Emperor Jahangir and his wife Noor Jahan. We will further drive to Sheikhupura to visit Hiran Minar, a lovely place with a small lake. Hiran Minar was built in the memory of a Deer, which was a pet of Jahangir. Taking the route of Motorway, M2, we will drive back to Islamabad and drop at one designated place.